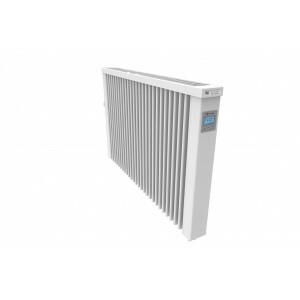 Every electric radiator has a 100% energy efficiency rating and extremely accurate room temperature thermostats which continually sense the ambient air temperature in the room and regulate to within +/- 0.2 deg C of your desired room temperature. 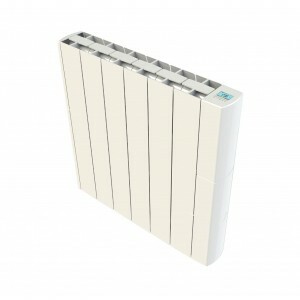 The modern electric heating systems ensure economy of use and are the best available economy radiators. 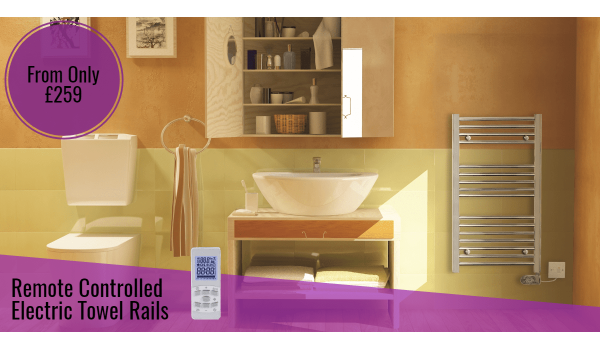 Combining a number of electric radiators, you can create a full electric central heating system. 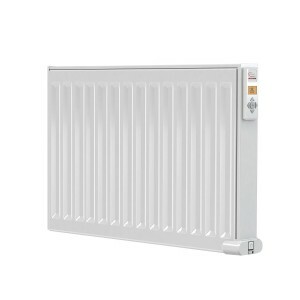 All our ranges of electric radiators have exceptional guarantees, of up to 30 years. This gives an indication of the quality of the products we offer. Our radiators can also be used independently to heat just one room, for example to heat a conservatory, garage or extension. 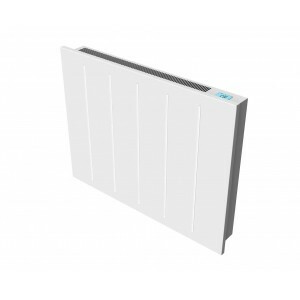 Electric radiators are now the preferred method of electric heating. With highly accurate thermostat and timing controls and wifi app controls, you can have exactly the heat you want at the times you want and where you want. • Ceramic radiator with high thermal inertia, able to continue emitting heat for a long period of time even after being off. • Ceramic Block with heating element and double thermal isolation Class II, thin and light. • 9.5 cm width, which ensures it integrates into any décor. • Uniform temperature distribution over the surface. • Top quality injected aluminum body means a light and strong product. • Side panels in injected polyamide with internal reinforcements. • Durable epoxy powder RAL 9010.• Silent operation: digital regulation with Triac control. • Proportional Regulating System (PID) for very accurate temperature control. • Intelligent Control System (ITCS), the radiator learns the heat up characteristics of the property and turns on at the right time to give the comfort required. • Programmable from the equipment (weekly programming, 9 preset programs and 4 customs). • Energy consumption meter (last 24h, 7 days, 30 days). • Comfort, economy and frost protection Modes. • Reduced surface temperature function. • Voltage 220-240 V. Frequency 50-60 Hz. • 1.5m cable with UK Plug. Supplied with 1.5metre power cable. The digital electronic thermostats are highly accurate, ensuring optimum comfort and economy. Smartpanel heaters are certified to the highest standards for safety and quality control. Internally, the heaters have an extruded aluminium element to provide a very quick heat up time. There are no fluids inside, meaning a lifetime guarantee that there will be no leaks. Using the very latest digital electronic thermostat technology and having the built in capability for programming times andtemperatures means that only the energy absolutely needed is used. The built in digital electronic thermostat and 24hr/7 day programming system is sited on the top of the heater for easy programming access. The room air temperature is sensed belowthe Smartpanel where the air is coldest. The thermostat accuracy is+/- 0.2 °C. There are 9 factory pre-set programs to suit most lifestyles and a user programming option if the pre-set programs are not suitable. The heaters will sense when a window has been opened and stopproducing heat until the window is closed. The Smartpanel learns the correct time to switch on, so no moreguessing what time to program. Just tell the heater what temperature you want the room to be at and at what time, the Smartpanel will do the rest! This function can tell you the energy consumed in each day/week/ month or year. Smartpanel does not need a circulation pump, or any moving parts. The aluminium element naturally convects heat into the room without using fluids. The thermostat and program controls are positioned on the top of the heater for easy programming and to retain the clean lines. • Suitable for a 28 metre cubed size room. • Durable epoxy powder RAL 9010. • High performance extruded aluminium heating element. • 7.9 cm width, ensures it integrates into any décor. • Extra silence: digital regulation with a Triac component. • IEC Connector. Cable can be removed at the end of the season for not being visible. Compact SteelHousing box. • Proportional Regulating System (PID) with high performance. • Intelligent Control System (ITCS), the radiator configures its connection times adapting to the temperature of your home according to season helping an efficient energy consumption. • Programmable from the equipment (weekly programming, 9 pre-programs and 4 customs). • Counter of energy consumed (last 24h, 7 days, 30 days). • Comfort, economic and no frost Modes. • Easy mode function.· Baby-care function. • 1.2m cable with UK Plug.